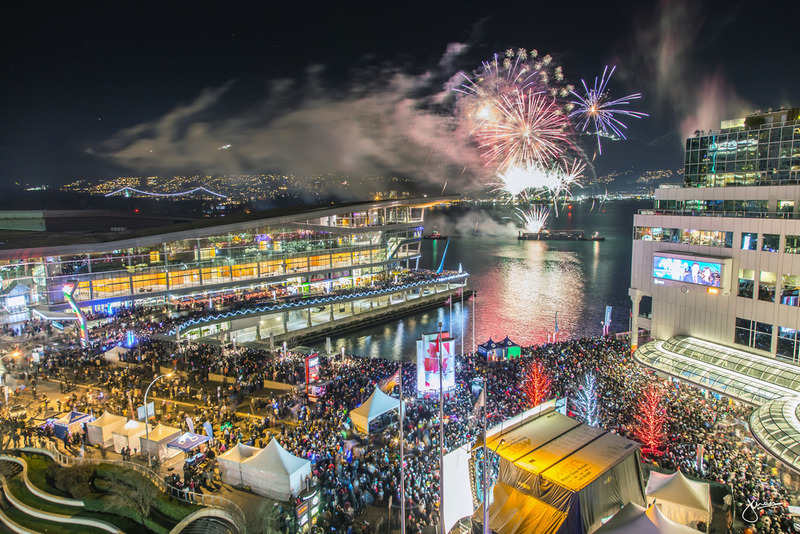 What a way to start the New Year - by watching the first ever fireworks display in Vancouver in 10 years. I had a great opportunity to capture this on the Fairmont Waterfront Gold Lounge Patio. The festivities started at 6pm with food trucks, booths set up for games & activities, performances, and bands playing on stage. There was a New Years countdown at 9pm for the kids, which ran for 3 minutes. Followed by, of course, a midnight Countdown into 2016! Due to crowd control, they had to move the barge West. Happy New Year everyone - Wishing you an amazing 2016!